After we crossed the border into Ethiopia yesterday afternoon the country straight away felt very different to all of the areas that have come before it on our adventure. Almost as soon as we entered the country the smooth and empty road started climbing into the mountains, eventually taking us up to 2500m. The higher we climbed, the more green and fertile the land became with fields of banana trees, sugar cane and coffee beans everywhere. As nightfall came, we turned onto the worst road that we've driven this trip. 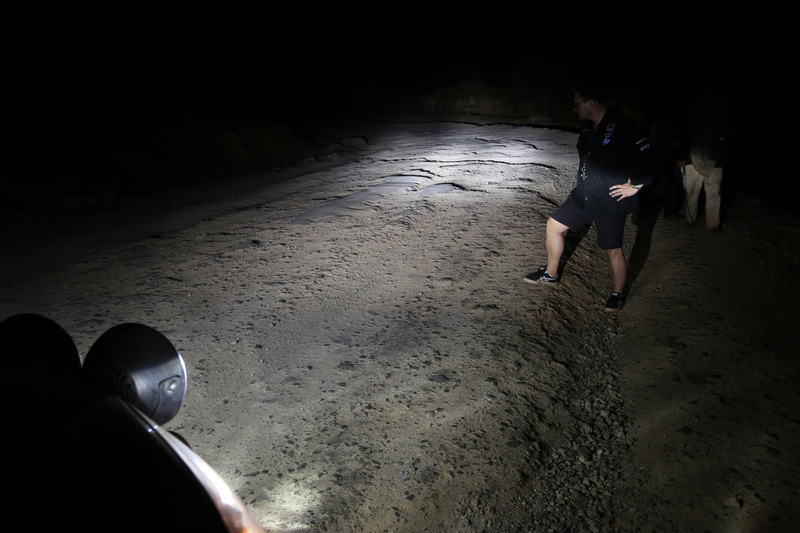 The potholes started first, and then the whole road surface disappeared into incredibly rough dirt tracks. Struggling to get above 20kph for fear of damaging the Touareg, navigating this road at night required endless patience and intense concentration to pick our way over the bumps, avoid the worst of the ruts, and stay out of the way of the oncoming trucks and buses, especially at the points when only one lane was usable. Sections of the road had turned to thick red mud after rain; the dry parts were thick with dust hanging in the air. It took us a full 7 hours to reach the end of this road at 01:00 this morning – 7 hours of the hardest driving I've ever done, despite being so slow. Rainer says that now I have completed this road without incident, I'm officially in the African driving club! That experience last night had made me unsure if I was going to enjoy Ethiopia. But any doubts I may have had were washed away the exact moment I opened my eyes this morning after grabbing a few hours sleep in the back of the Touareg. We had stopped at the top of a gorge; deep down below us lay the Blue Nile, surrounded by fertile green fields and small villages of thatched huts. The sunrise was just appearing over the valley, with clouds and mist hanging deep below us on the valley floor. An incredible view, and an incredible first sight to open my eyes to. I think I had some preconceived ideas that Ethiopia would be a dry and arid place, probably based around the awful images from the '80s of drought and famine in this country. Quite the opposite. In the areas that we've travelled through, mainly the Ethiopian Highlands, the altitude keeps the area comparatively cool and wet so everywhere is lush greenery across the hills and valleys. It's hard to describe how beautiful some of the landscapes we've seen this morning have been – perhaps the closest description for us Europeans would be like the Alps in summer, but with bright red earth, villages of small thatched huts and more exotic plants and trees. One of the striking things here is the people: the sheer number of them wherever we drive. Ethiopia has a population of 90m, the second highest in Africa. The towns and villages are packed with people everywhere, but even out deep into the countryside there is a never ending flow of people walking along the roadside, often with animals or one of the many donkeys and carts. Whilst there are almost no private cars here, there are countless minibus taxis, and endless 'tuc-tuc' 3 wheel taxis all of which make the driving challenging. Of course there are still the number of donkeys, cows and goats just wandering around on the road to add to the driver's list of things to look out for. What is clear is just how friendly the Ethiopians are – even though very little English is spoken here so communication is near-enough impossible, we always get a group of smiling curious onlookers arriving within minutes wherever we stop. As Ethiopia is the origin of the coffee bean and is still Africa's biggest producer of them, we had a final short stop in a roadside café in the mountains next to the Nile brewing strong bitter coffee for us. 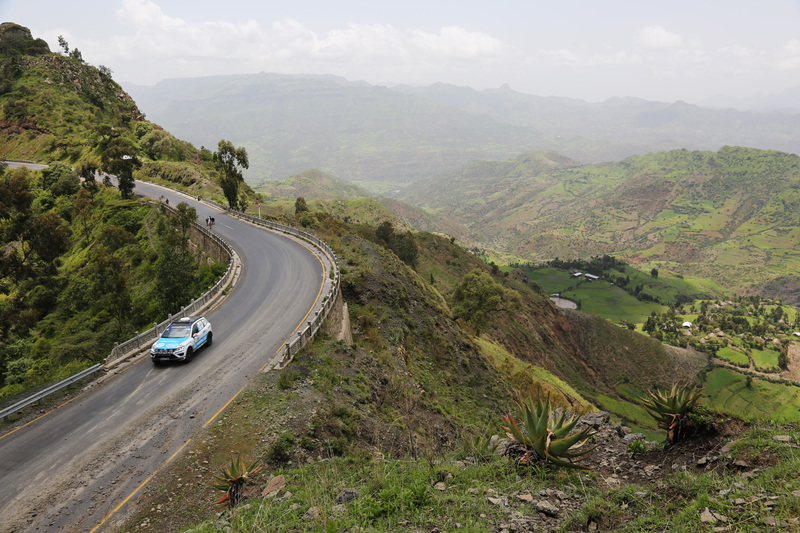 We're right on schedule for the World Record objective at the moment, and as we near the end of Ethiopia, in some ways we've almost completed the most challenging and risky parts of the journey. All three of us are feeling good, and spirits are high. The long straight desert roads of Sudan and Egypt will, in comparison to the last few days' driving, be relatively undemanding for us and the Touareg, so we will hopefully get a chance to catch up on some rest as we take turns to drive. 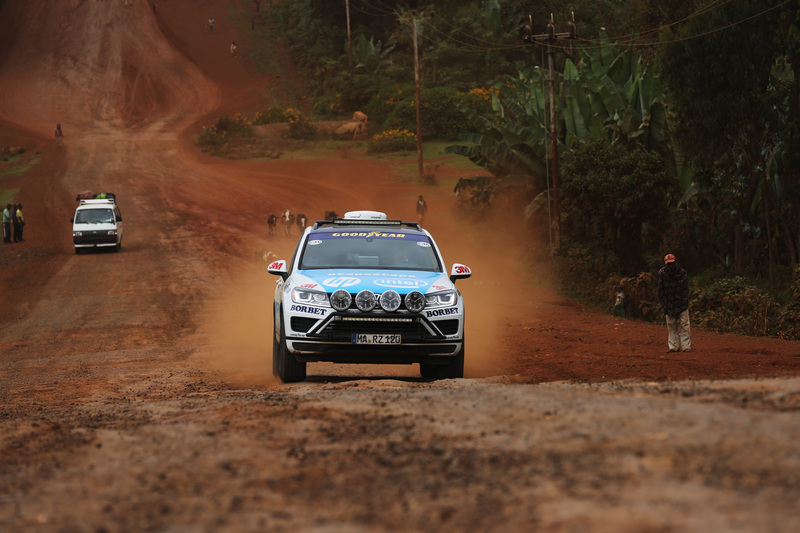 With a little more time on our hands over the coming few days now, we're hoping to use these blogs to introduce you to the team a little more, along with some behind the scenes info on some of the rather clever systems that our sponsors have provided for us here in the Touareg and how they're being used. 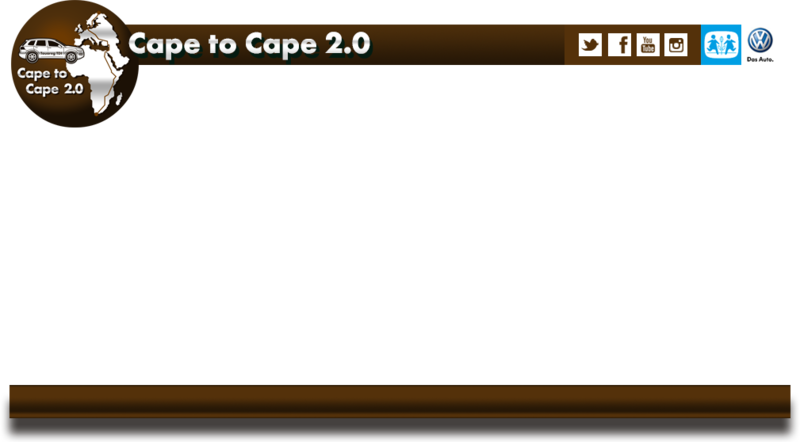 Our next update will come this evening from Sudan. iAfter we crossed the border into Ethiopia yesterday afternoon the country straight away felt very different to all of the areas that have come before it on our adventure. Almost as soon as we entered the country the smooth and empty road started climbing into the mountains, eventually taking us up to 2500m. The higher we climbed, the more green and fertile the land became with fields of banana trees, sugar cane and coffee beans everywhere. As nightfall came, we turned onto the worst road that we've driven this trip. The potholes started first, and then the whole road surface disappeared into incredibly rough dirt tracks. Struggling to get above 20kph for fear of damaging the Touareg, navigating this road at night required endless patience and intense concentration to pick our way over the bumps, avoid the worst of the ruts, and stay out of the way of the oncoming trucks and buses, especially at the points when only one lane was usable. Sections of the road had turned to thick red mud after rain; the dry parts were thick with dust hanging in the air. It took us a full 7 hours to reach the end of this road at 01:00 this morning - 7 hours of the hardest driving I've ever done, despite being so slow. Rainer says that now I have completed this road without incident, I'm officially in the African driving club! I think I had some preconceived ideas that Ethiopia would be a dry and arid place, probably based around the awful images from the '80s of drought and famine in this country. Quite the opposite. In the areas that we've travelled through, mainly the Ethiopian Highlands, the altitude keeps the area comparatively cool and wet so everywhere is lush greenery across the hills and valleys. It's hard to describe how beautiful some of the landscapes we've seen this morning have been - perhaps the closest description for us Europeans would be like the Alps in summer, but with bright red earth, villages of small thatched huts and more exotic plants and trees. One of the striking things here is the people: the sheer number of them wherever we drive. Ethiopia has a population of 90m, the second highest in Africa. The towns and villages are packed with people everywhere, but even out deep into the countryside there is a never ending flow of people walking along the roadside, often with animals or one of the many donkeys and carts. Whilst there are almost no private cars here, there are countless minibus taxis, and endless 'tuc-tuc' 3 wheel taxis all of which make the driving challenging. 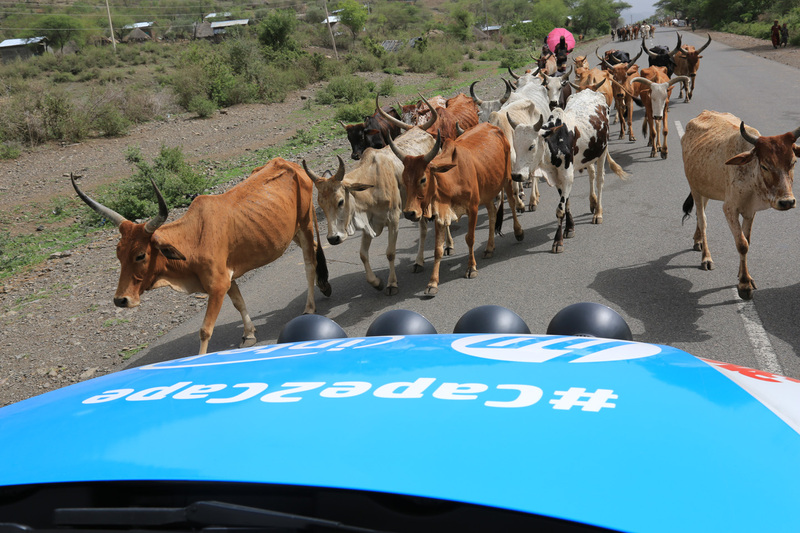 Of course there are still the number of donkeys, cows and goats just wandering around on the road to add to the driver's list of things to look out for. 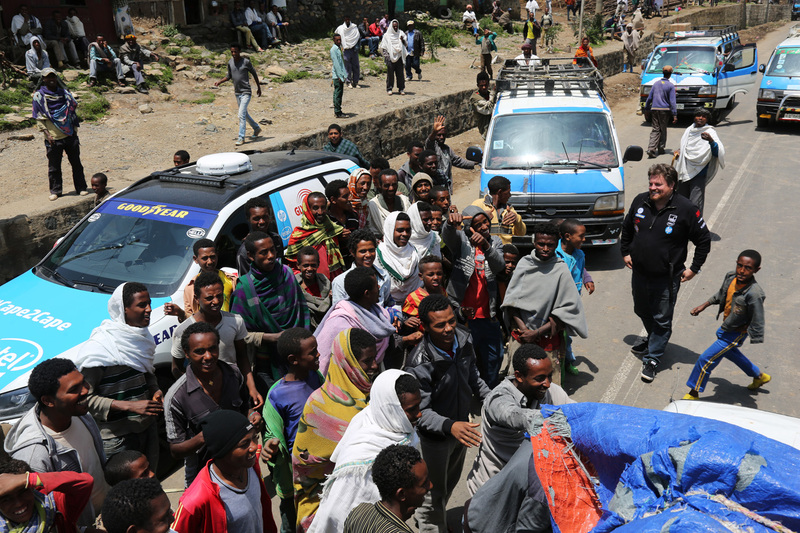 What is clear is just how friendly the Ethiopians are - even though very little English is spoken here so communication is near-enough impossible, we always get a group of smiling curious onlookers arriving within minutes wherever we stop.